Milestones in the modern history of Israel: Theodor Herzl & Zionism, the Balfour Declaration, British Mandate, Holocaust, David Ben Gurion & Israel War of Independence, the IDF Israel’s army, 1967 Six Day War, Prime Minister Golda Meir & Yom Kippur War. WWI brought about the downfall of the Ottoman Empire and the dividing up of the vast Middle East. In 1922, the League of Nations gave Britain the mandate over Palestine – all of Israel, West Bank, and Jordan today. A short while later, the British gave eastern Palestine (Transjordan) to Abdullah, son of Hussein, the Hashemite Sharif of Mecca, in return for his role in helping the British defeat the Turks during WWI. This territory would eventually become the Hashemite Kingdom of Transjordan in 1922. The Jewish community however received nothing, in spite of the Balfour Declaration of Nov., 1917 – an official document declaring Britain’s support in favor of establishing a Jewish homeland in Palestine. The Zionist movement flourished however and immigrants continued to arrive. From WWI to 1948 the Jewish population grew from 85,000 to 650,000. Arabs opposed the influx from the beginning and resentment erupted into intense waves of Arab violence in the 1920’s and 1930’s, with killing, looting, burning of Jewish fields in opposition to the growing Jewish national movement. Jewish self-defense and underground movements were set up: The Haganah (self-defense) in 1920, the Etzel, and Lehi (to oppose British occupation and anti-immigration policies). All were united into Tzahal, the Israel Defense Forces, with the establishment of the State of Israel in 1948. Following WWII thousands of Jews, survivors of the Holocaust in Europe tried to come to Palestine and reunite with their brethren, friends, and family. The British however effectively kept the doors of the country shut, not wanting to anger the Arabs. Jewish clandestine immigration and refugee boats tried to run the British blockade. Many were caught and the Jewish refugees aboard were taken to detention camps in Cyprus. Finally, on Nov. 29, 1947, in the wake of the Holocaust, and with the support of U.S. president Harry Truman, the United Nations agreed to a Jewish state along side a Palestinian state in western Palestine (Jordan had already been created in eastern Palestine after WWI). Israel under the leadership of David Ben Gurion agreed to the UN proposal in the name of the Jewish people and 22 Moslem countries voted against, in spite of the resolution’s call to also create a Palestinian state alongside the Jewish state. The Arabs openly declared their intention to invade and destroy the Jewish state the moment the British left. In the six month interim (Dec., 1947-May, 1948) armed Arab gangs and militias from within the local Palestinian Arab community began to attack Jewish homes, villages, and vehicles around the country. Even the main road connecting Jerusalem’s 90,000 Jews to Tel Aviv was effectively cut by local Arab villagers and the main water pipe blown up. The British did little to intervene and stop the bloodshed, not wanting to endanger their soldiers, and wouldn’t provided arms for self defense to the Jews. 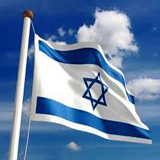 Notwithstanding the dangers and grave situation, on May 14, 1948, David Ben Gurion, Israel’s 1st Prime Minister, proclaimed Israel’s independence for the first time in almost 2000 years! Within 24 hours the regular armies of Egypt, Jordan, Syria, Lebanon, and Iraq invade, forcing Israel to defend the Jewish ancestral homeland. In Israel’s War of Independence, the newly formed, poorly equipped Israel Defense Forces (IDF) repulsed the Arabs in fierce intermittent fighting. Israel’s War of Independence lasted some 15 months from May 15, 1948 – March 10, 1949 and claimed over 6,300 Israeli lives (nearly one percent of the country’s population at the time). During the first months of 1949, direct cease fire negotiations were conducted under UN auspices between Israel and each of the invading countries (except Iraq, which refused to negotiate with Israel) resulting in armistice agreements reflecting the situation at the end of the fighting, but no peace. As usual no Arab country was willing to officially recognize and sign a peace with the Jewish state. The final armistice agreement between Israel and the Arabs was concluded on July 20, 1949. The Coastal Plain, Galilee and the entire Negev were within Israel’s sovereignty. Judea and Samaria (the West Bank) came under Jordanian rule, the Gaza Strip came under Egyptian administration, and the city of Jerusalem was divided, with Jordan controlling the eastern part, including the Old City, and Israel the western sector of the city. The war over, Israel focused on building the state which the Jewish people had struggled for. 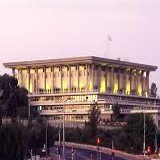 The first 120-seat Knesset (parliament) went into session following national elections (Jan. 25, 1949). Nearly 85 percent of all eligible voters cast their ballots. Two of the people who had led Israel to statehood became the country’s leaders: David Ben-Gurion, head of the Jewish Agency, was chosen as the first prime minister; and Chaim Weizmann, head of the World Zionist Organization, was elected by the Knesset as the first president. On 11 May 1949, Israel took its seat as the 59th member of the U.N. In accordance with the concept of the ‘ingathering of the exiles’ which lies at the heart of Israel’s raison d’etre, the gates of the country were thrown open, affirming the right of every Jew to come to the country and, upon entry, to acquire citizenship. In the first four months of independence, some 50,000 newcomers, mainly Holocaust survivors, reached Israel’s shores. 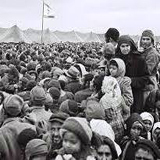 By the end of 1951, a total of 687,000 men, women, and children had arrived, over 300,000 of them Jewish refugees from Arab lands, thus doubling the Jewish population. Jews came to Israel from some 100 countries. The economic strain caused by the War of Independence and the need to provide for a rapidly growing population required austerity at home and financial aid from abroad. Assistance extended by the United States government, loans from American banks, contributions of Diaspora Jews and post-war German reparations were used to build housing, mechanize agriculture, establish a merchant fleet and a national airline, exploit available minerals, develop industries and expand roads, telecommunications, and electricity networks. Towards the end of the first decade, the output of industry doubled, as did the number of employed persons, with industrial exports increasing four-fold. Vast expansion of areas under cultivation had brought about self-sufficiency in the supply of all basic food products except meat and grains, while some 50,000 acres of mostly barren land were afforested and trees were planted along almost 500 miles (800 km.) of highways. The educational system, which had been developed by the Jewish community in the pre-state period and now included the Arab sector, was greatly expanded. School attendance became free and compulsory for all children aged 5-14 (since 1978 it has been mandatory to age 16 and free to age 18). Cultural and artistic activity flourished, blending Middle Eastern, North African, and Western elements, as Jews arriving from all parts of the world brought with them the unique traditions of their own communities as well as aspects of the culture prevailing in the countries where they had lived for generations. When Israel celebrated its 10th anniversary (1958), the population numbered over two million. Sinai “Kadesh” campaign was from Oct. 29-Nov. 7, 1956) background: The years of state-building were overshadowed by serious security problems. The 1949 armistice agreements following Israel’s War of Independence had not only failed to pave the way to permanent peace, but were also constantly violated: In contradiction to the UN Security Council Resolution of September 1951, Israeli and Israel-bound shipping was prevented from passing through the Suez Canal in the wake of Egyptian president Nasser’s nationalization of the canal on July 26, 1956. The Egyptians were also tightening the blockade on Israeli shipping through the Straits of Tiran which connected Israel’s Red Sea port of Eilat with the Indian Ocean and Persian Gulf oil. Incursions into Israel of terrorist squads from neighboring Arab countries committed murder and sabotage occurred with increasing frequency. The Sinai peninsula was also converting Egypt into a huge Egyptian military base. Upon the signing of a tripartite military alliance by Egypt, Syria and Jordan in October, 1956 the imminent threat to Israel’s existence was intensified. In the course of an eight-day war known as the “Kadesh campaign”, which began at 17:00 on Oct. 29th and ended on Nov. 7, 1956, the Israel Defense Forces captured the Gaza Strip and the entire Sinai Peninsula, halting 10 miles (16 km.) east of the Suez Canal. Israel lost 171 soldiers in the fighting. A United Nations decision to station a UN Emergency Force (UNEF) along the Egypt-Israel border and Egyptian assurances of free navigation in the Gulf of Eilat led Israel to agree to withdraw in stages (November, 1956 – March, 1957) from the areas taken a few weeks earlier. Consequently, the Straits of Tiran were opened, enabling the development of trade with Asian and East African countries, as well as oil imports from the Persian Gulf. During Israel’s second decade (1958-68), exports doubled, and the GNP increased some 10 percent annually. While some previously imported items such as paper, tires, radios, and refrigerators were now being manufactured locally, the most rapid growth took place in the newly established branches of metals, machinery, chemicals, and electronics. Since the domestic market for home-grown food was fast approaching the saturation point, the agricultural sector began to grow a larger variety of crops for the food processing industry as well as fresh produce for export. A second deep-water port was built on the Mediterranean coast at Ashdod, in addition to the existing one at Haifa, to handle the increased volume of trade. 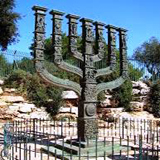 In Jerusalem, a permanent home for the Knesset was built, and facilities for the Hebrew University and the Hadassah Medical Center were constructed on alternative sites to replace the original buildings on Mount Scopus, which had to be abandoned after the War of Independence. At the same time, the Israel Museum was established with the aim of collecting, conserving, studying, and exhibiting the cultural and artistic treasures of the Jewish people. Israel’s foreign relations expanded steadily, as close ties were developed with the United States, British Commonwealth countries, most western European states, nearly all the countries of Latin America and Africa, and some in Asia. Extensive programs of international cooperation were initiated, as hundreds of Israeli physicians, engineers, teachers, agronomists, irrigation experts, and youth organizers shared their know-how and experience with people in other developing countries. In 1965 ambassadors were exchanged with the Federal Republic of Germany, a move which had been delayed until then because of the Jewish people’s bitter memories of the crimes committed against them during the Nazi regime (1933-45). Vehement opposition and public debate preceded normalization of relations between the two countries. In May, 1960, Adolf Eichmann, a chief of operations of the Nazi murder program during World War II, was brought to the country to stand trial under Israel’s Nazis and Nazi Collaborators Law (1950). 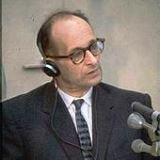 In the trial, which opened in April, 1961, Eichmann was found guilty of crimes against humanity and the Jewish people and sentenced to death. His appeal to the Supreme Court was rejected and he was hanged on May 30, 1962. This was the only time that the death penalty was applied under Israeli law. Israeli hopes for another decade of relative tranquility were dashed with the escalation of Arab terrorist raids across the Egyptian and Jordanian borders, persistent Syrian artillery bombardment of agricultural settlements in northern Galilee, and massive military build-ups by the neighboring Arab states. The Syrians also persisted in their efforts to divert the headwaters of the Jordan River- Israel’s main source of water. 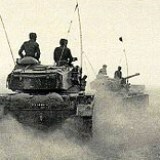 When Egypt again moved large numbers of troops into the Sinai desert (May, 1967), ordered the UN peacekeeping forces (deployed since 1957) out of the area, re-imposed the blockade of the Straits of Tiran, and entered into a military alliance with Jordan, Israel found itself faced by hostile Arab armies on all fronts. As Israel’s neighbors prepared to destroy the Jewish state, Israel invoked its inherent right of self-defense, launching a preemptive strike (June 5, 1967) against Egypt in the South, followed by a counterattack against Jordan in the East and the routing of Syrian forces entrenched on the Golan Heights in the North. Levi Eshkol was Prime Minister, Yitzchak Rabin Chief of Staff of the IDF Israel Defense Forces, and Moshe Dayan Defense Minister. At the end of six days of fighting on June 10, 1967, previous cease-fire lines were replaced by new ones, with Judea, Samaria, Gaza, the Sinai peninsula, and the Golan Heights under Israel’s control. As a result, the northern villages were freed from 19 years of recurrent Syrian shelling; the passage of Israeli and Israel-bound shipping through the Straits of Tiran was ensured; and Jerusalem, which had been divided under Israeli and Jordanian rule since 1949, was reunified under Israel’s authority. 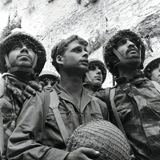 the Six Day War lasted from June 5-10, 1967 and in the course of the fighting the Israeli army lost some 776 soldiers. After the war, Israel’s diplomatic challenge was to translate its military gains into a permanent peace based on UN Security Council Resolution 242, which called for acknowledgment of the sovereignty, territorial integrity, and political independence of every state in the area and their right to live in peace within secure and recognized boundaries free from threats or acts of force. However, the Arab position, as formulated at the Khartoum Summit (August, 1967) called for no peace with Israel, no negotiations with Israel, and no recognition of Israel. In September, 1968, Egypt initiated a ‘war of attrition,’ with sporadic, static actions along the banks of the Suez Canal, which escalated into full-scale, localized fighting, causing heavy casualties on both sides. 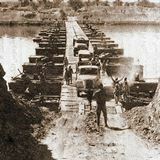 Hostilities ended in 1970, when Egypt and Israel accepted a renewed cease-fire along the Suez Canal. Three years of relative calm along the borders were shattered on Yom Kippur (Day of Atonement), the holiest day on the Jewish calendar. Egypt and Syria launched a coordinated surprise attack on Israel (Oct. 6, 1973), with the Egyptian Army crossing the Suez Canal and Syrian troops penetrating the Golan Heights. The first days were the most difficult – until Israeli reserves arrived. During the next three weeks, the Israel Defense Forces turned the tide of battle and repulsed the attackers, crossing the Suez Canal into Egypt and advancing to within 20 miles (32 km.) of the Syrian capital, Damascus. Two years of difficult negotiations between Israel and Egypt and between Israel and Syria resulted in disengagement agreements, according to which Israel withdrew from parts of the territories captured during the war. The Yom Kippur War, that had begun in Oct. 6 ended with a ceasefire on Oct. 25, 1973. Israel lost some 2800 soldiers in the fighting. Israel has never wanted a conflict with its northern neighbor, Lebanon. However, when the Palestine Liberation Organization (PLO) redeployed itself in southern Lebanon after being expelled from Jordan (1970) and perpetrated repeated terrorist actions against the towns and villages of northern Israel (Galilee), which caused many casualties and much damage. 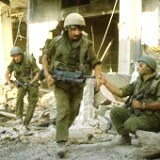 In response Israel Defense Forces crossed the border into Lebanon in June, 1982 marking the beginning of the Lebanon War, also known as “Operation Peace for Galilee”. The war resulted in removing the bulk of the PLO’s organizational and military infrastructure from the area. In 1985 Israel withdrew to the security zone in southern Lebanon having lost 657 soldiers. For the next 18 years, Israel maintained the security zone adjacent to its northern border to safeguard its population in Galilee against attacks by hostile elements and withdrew fully in 2000. The 1977 Knesset elections brought the Likud bloc (a coalition of right-wing and centrist parties) to power, ending almost 30 years of Labor Party dominance. The new prime minister, Menahem Begin, reiterated the commitment of all previous prime ministers to strive for permanent peace in the region and called upon the Arab leaders to come to the negotiating table. The cycle of Arab rejections of Israel’s appeals for peace was indeed broken with the visit of Egyptian President Anwar Sadat to Jerusalem (November, 1977), followed by negotiations between Egypt and Israel under American auspices. The resulting Camp David Accords (September, 1978) contained a framework for a comprehensive peace in the Middle East, including a detailed proposal for self- government for the Palestinians. On March 26, 1979, Israel and Egypt signed a peace treaty in Washington, DC, bringing the 30-year state of war between them to an end. In accordance with the terms of the treaty, Israel withdrew from the Sinai peninsula, exchanging former cease-fire lines and armistice agreements for mutually recognized international boundaries. Three years of talks between Jordan and Israel, following the 1991 Madrid Peace Conference, culminated in a declaration by King Hussein of the Hashemite Kingdom of Jordan and Prime Minister Yitzhak Rabin (July, 1994), which ended the 46-year state of war between their two countries. 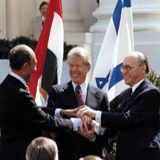 The Jordan-Israel peace treaty was signed at the Arava border crossing (near Eilat in Israel and Aqaba in Jordan) on Oct. 26, 1994, in the presence of American President Bill Clinton. During the 1980s and 1990s, Israel absorbed over one million new immigrants, mainly from the former Soviet Union, Eastern Europe, and Ethiopia. The influx of so many new consumers, as well as a large number of skilled and unskilled workers, boosted the economy into a period of accelerated expansion. The government that came into power after the 1984 Knesset elections was made up of the two major political blocs – Labor (left/center) and Likud (right/center). It was replaced in 1988 by a Likud-led coalition, which was followed in 1992 by a coalition of Labor and smaller left-of-center parties headed by Prime Minister Yitzhak Rabin. The Oslo peace accords between Israel and the Palestinians began with negotiations leading up to the Sept., 1993 signing of mutual letters of recognition between Prime Minister Yitzchak Rabin and Yasser Arafat leader of the Palestine Liberation Organization. This was followed by further negotiations leading up to the subsequent 1st phase withdrawal of Israeli from Gaza and Jericho (May 4, 1994). The first two years of Oslo peace negotiations and simultaneous terror (56 Palestinian attacks leaving 136 Israelis dead in the years 1993-95) divided the country over the question of continued peace negotiations with the Palestinians. Indeed the impression was the more Israel negotiated and relinquished control in the West Bank he more Israelis were being blown up by Palestinian terror. This led to pro government rallies and counter rallies by the political opposition. At a Labor party rally in Tel Aviv on Nov. 4, 1995 in support of the Oslo process, Yigal Amir stepped up to Prime Minister Yitzchak Rabin and assassinated him, ushering in a period of soul searching and national mourning for the soldier-statesman. Following Yitzhak Rabin’s assassination, Shimon Peres served as acting Prime Minister until new elections were called in 1996. Prime Minister, Benjamin Netanyahu came to power, and formed a Likud-led coalition. Less than three years later, his government was defeated. In 1999, Ehud Barak, leader of the One Israel party (left/center), was elected Prime Minister, and formed a coalition government. Arab and Palestinian terrorism against Israel existed for decades prior to the establishment of the State of Israel and has continued since- even in the 20 year period preceding the 1967 Six Day War – well prior to Israel’s take over and presence in the West Bank. The establishment of the PLO (Palestine Liberation Organization) in 1964 put it at the forefront of this terrorist campaign and it continued into the 1970’s and 1980’s.One of the most notorious attacks was the murder of 11 Israeli athletes at the Munich Olympics in 1972. The Oslo negotiations however also brought with them a wave of Palestinian terror and suicide bombings the likes of which had never been experienced in Israel before. In the first 3 months of the accord alone (Sept.-Dec., 1993) there were 14 Palestinian terror attacks leaving 20 Israelis dead. In 1994 there were 32 attacks leaving 69 Israelis dead and in 1995, in the months leading up to Prime Minister Yitzhak Rabin’s assassination, there were some 10 incidents leaving 47 Israelis dead, including the Oct. 19, 1994 suicide bombing on the No. 5 bus on Dizengoff Street in Tel-Aviv in which 21 Israelis and one Dutch national were killed. In spite of the Palestinian commitment made in 1993 in the Oslo accords to renounce terrorism, thus providing the basis for the Palestinian-Israeli peace process, terrorist attacks nonetheless continued, and by the beginning of 2000 some 260 Israelis had been killed. Terror intensified after September 2000, and by 2005 (inclusive) the number climbed to 1357 victims and thousands more wounded. 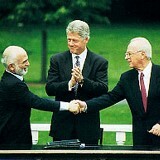 At the Camp David Summit (July 11-24, 2000) attended by U.S. president Bill Clinton, Israeli prime minister Ehud Barak, and Yasser Arafat, with the intention of negotiating a final settlement, there were no results. Arafat walked away despite Barak’s willingness to even divide Jerusalem. After the collapse of Barak’s government at the end of 2000, Ariel Sharon, leader of the Likud, was elected prime minister in the Feb., 2001 elections and remained until he suffered a stroke in early 2006. Ehud Olmert, head of the Kadima Party formed by Sharon in November 2005, succeeded Sharon as prime minister (2006-2009), followed by Benjamin Netanyahu (2009-present). Did you find Zack’s Shavin’s History of Israel in Modern Times informative? If you’d like more information about visiting Israel contact Zack Shavin, veteran guide & biblical archaeologist at Land of Israel Tours.